We wouldn’t do what we do if we didn’t believe in the awe-inspiring untapped potential in nearly every relationship we see and in the vast capacity we humans have for healing, transformation, and growth. We assure them, if both partners are willing to dive in and do whatever it takes, then YES, there is a lot of hope. 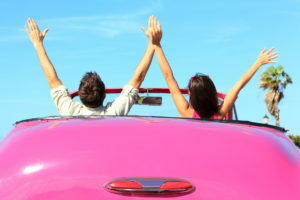 In fact, our aim is to help couples in such a way that this messy moment in time, whatever it may be, becomes the greatest springboard for creating a truly thriving relationship. It’s part of our personal mission in life to help people turn their messes into miracles and their pain into purpose. Having been fortunate to support so many couples recovering from affairs over the years, we’ve noticed some striking themes when it comes to (1) why and how they happen and (2) what you can do to prevent them. We’re hoping these 4 little insights and tips can help you stay on the prevention side of things — whether it’s preventing any affairs at all or preventing the next affair from happening. If you’ve been following us for awhile, you’ve surely heard us talk about Love Accounts — because they are just so important. Imagine that, in your relationship, you have a Love Account, and, in every interaction, you are either making a deposit or a withdrawal. Dr. John Gottman, leading researcher in the science of relationships, has found that, when your Love Account gets low, resentment builds, you feel disconnected, and something stressful can easily turn into conflict and come between you. You may begin to feel like business partners or roommates. On the other hand, if you have a large amount of savings in your Love Account, it leads to resilience, deeper connection, mutual respect, romance and passion, a significantly easier time recovering from challenges, and an ability to see each other as teammates. When couples come into our office after an affair has happened, they are often suffering from a low Love Account. Before the affair even happened, they were already feeling disconnected, unloved, or unappreciated. To keep your relationship strong and resilient, we recommend filling up your Love Account every. single. day. 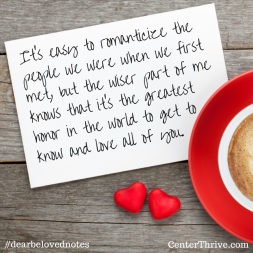 A thriving relationship truly is made up of all the little things that happen on a daily basis. Of course, date nights and romantic getaways are so important too. When you go to fill your Love Account, it is also essential to love and support your beloved in the ways THEY want to be loved and cared for, not in how YOU want to be loved. 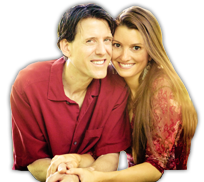 We all give and receive love differently, and we invite you to become masters of the one-of-a-kind art of loving your partner. If you are not currently tending to your relationship, chances are, things will start to deteriorate over time. Always be filling your Love Account. Your investment will pay back ten-fold! As simple as it sounds, one of the greatest reasons affairs happen is because of this — you find yourself around someone you find attractive, fun, inspiring, supportive and who reignites some sense of passion or aliveness in your life. It can happen innocently and unexpectedly at first, rather than actually seeking it out. This commonly happens in the workplace, but it can also happen in groups only one of you is involved with (ex: your beloved loves going rock climbing and has gotten close to another member of the group). Then, of course, they begin bonding with someone else over a shared experience, the very thing they’re missing from you. Rather than checking out, get interested in their work projects and travels, get interested in their hobbies, their feelings, their passions, their goals and dreams. Even if something your beloved is interested in isn’t a passion of yours, get interested in it because you are interested in your beloved. Super important: don’t get stuck in the rut of just talking about the logistics of life. 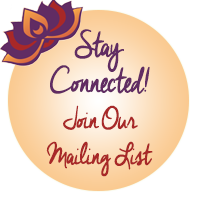 Stay up to date with each other’s inner and outer worlds. 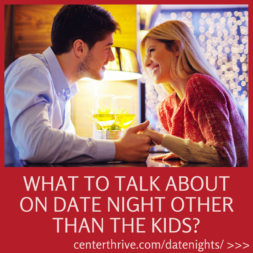 We created Date Night Discovery Cards HERE if you need some helpful conversation-starters! People who feel the allure of an affair also often complain about feeling bored in their current relationship. To prevent your beloved from stoking the fires of passion with someone else who is engaging, interesting, and interested, keep growing and doing things together that make life more passionate, not just physically but emotionally, intellectually, and spiritually as well. When couples are regularly growing together in all four of these domains (physical, emotional, intellectual, and spiritual), life gets really good, and you get to be lifelong teammates on this great adventure of life! Make sure there are new experiences, variety, and inspiration within your partnership! The other common complaint post-affair is at least one partner saying their needs weren’t being met in their relationship. They tell us how they tried telling their beloved what wasn’t working and how they didn’t listen or how change didn’t last and how they grew discouraged and eventually gave up trying to make things work. It’s so important to have regular check-in’s when you can talk about what is and isn’t working for you in the relationship. Stay caught up with each other’s current needs, dreams, and desires. During these conversations, be sure to speak with complete transparency AND be sure to hold a safe space that encourages your beloved to be fully honest with you. Unfortunately, many people don’t reveal their innermost feelings and thoughts, fearing they will be criticized, ridiculed, shamed, blamed, rejected, or abandoned. They stop speaking up in order to avoid their partner’s defensiveness. In order to bring your full honesty to your partnership, it’s essential to have a safe, loving, and supportive space that inspires each of you to share ALL of who you are — what’s working and what’s not. 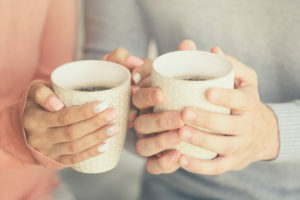 To create this safe space, support your partner in feeling their feelings to completion, without trying to quiet, interrupt, disregard, or invalidate them. Receive their feedback with an open heart and mind and with a spirit of curiosity and understanding. 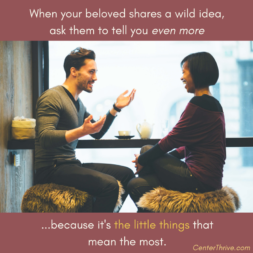 Give your partner permission to feel and see things differently from you. Disable your defenses and be willing to change and grow so you can be a better, healthier, and happier person and partner. The first step is to create the safe space for regular check-ins. The second step is to share your authentic, transparent, vulnerable thoughts and feelings. Secrets, lies, and withholding are very toxic to a partnership and deteriorate trust, closeness, and joy. Any area where you are holding back your feelings or experiences, you are creating a barrier to connection and love. Communicating about these more delicate things can be challenging, but not communicating about them can be even more damaging. 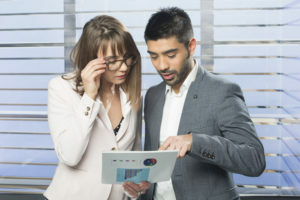 Plus, with the right communication tools, it can actually be quite easy and powerfully connecting! This is one area where we LOVE supporting couples. Even in just a session or two, we can equip you with some of our favorite tips and tricks that can make all the difference. Here’s a free little guide we created when it comes to listening in ways that bring you closer and allow you both to feel deeply heard. If we can be of support in any way, be sure to be in touch! We humans aren’t meant to do this alone. Of course, affairs can happen for a variety of reasons, but we feel confident that if you focus on creating a flourishing Love Account, if you stay engaged and interested in each other’s worlds, if you keep growing and nurturing passion within your relationship, and if you create a safe space for open-hearted conversations that allow you to keep growing and get your needs met, the chances of an affair happening are minimal. Also, we want to be so clear that in no way are we suggesting the person who didn’t have the affair is the one to blame! Blame doesn’t get us far, either way. The above tips are simply things both of you can be doing to prevent affairs from happening, and they are pulled from hundreds of real-life experiences we’ve witnessed in our office. If you are the one who has had the affair or who is tempted to, be sure to take all four of these insights to heart! 🙂 If you are the one whose partner has had an affair or who you worry is at risk of having one, take all of these insights to heart. And if you are a couple who simply wants to keep your love strong and resilient, these insights can surely help get you there! If there has been an affair in your relationship, recently or long ago, and it’s still negatively affecting you, we are here for you with open arms and promise to create an incredibly safe, positive, and supportive space to heal from the past and use this painful experience as a catalyst to turn your relationship into its best version yet. Remember that your romantic relationship is the area of life that tends to have the greatest impact on every single other area of life, so if you’re not tending to it, we enthusiastically encourage you to get filling up that Love Account today! We’re cheering you on as you do!